International arrivals at Edinburgh Airport this summer will be greeted by an exciting new project that aims to reclaim Scottish design from the clutches of the tartan shortbread tin. In a converted shipping container next to the massive EDINBURGH sign, Local Heroes presents a range of bespoke products from a handful of the designers whose work represents the vision and international ambition that has become prevalent in this nation’s design community over the last ten years. The reasons for this shift are at least twofold. From a practical viewpoint, the internet has made it easier to access markets anywhere in the world. It has facilitated increased ease of production, and allowed brands to create an identity which transcends locale. From a creative point of view, the injection of energy, confidence and ambition that came about in the debates of the Scottish referendum, of our communities discussing and reimagining the shape of the world that we wish to live in, cannot be underestimated. Local Heroes curator Stacey Hunter is certain that the referendum offered a turning point for the confidence of our creative life. “There’s no doubt in my mind that there was a real change of attitude in the people that work in the creative industries before, during and after the referendum,” she says. “I think there was just a real sense of people recovering or finding a sense of confidence that had been lying dormant. 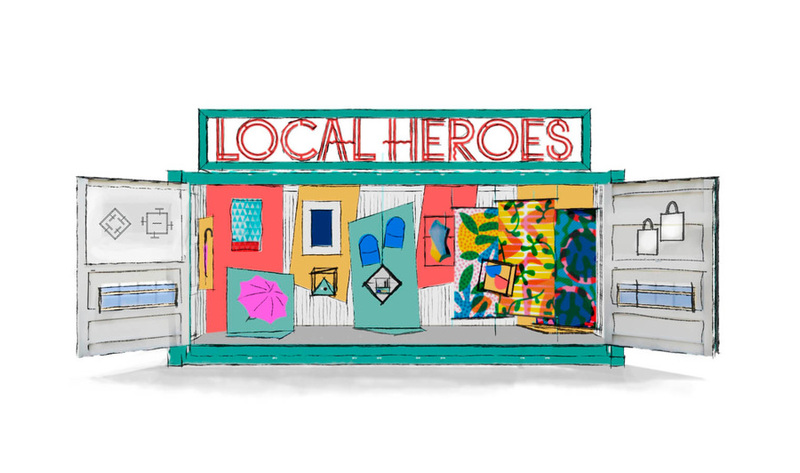 Local Heroes sets out to reflect that invigorated design community on the international stage of airport arrivals during the Edinburgh festivals, as part of the Year of Innovation, Architecture & Design. Says Hunter, “Design exhibitions have a really important role to play when it comes to reflecting a culture at a point in time.” This particular exhibition combines an acknowledgement of the realities of the marketplace (these products are for sale) with a curated approach which offers a snapshot of the quality and ambition of Scottish design now. 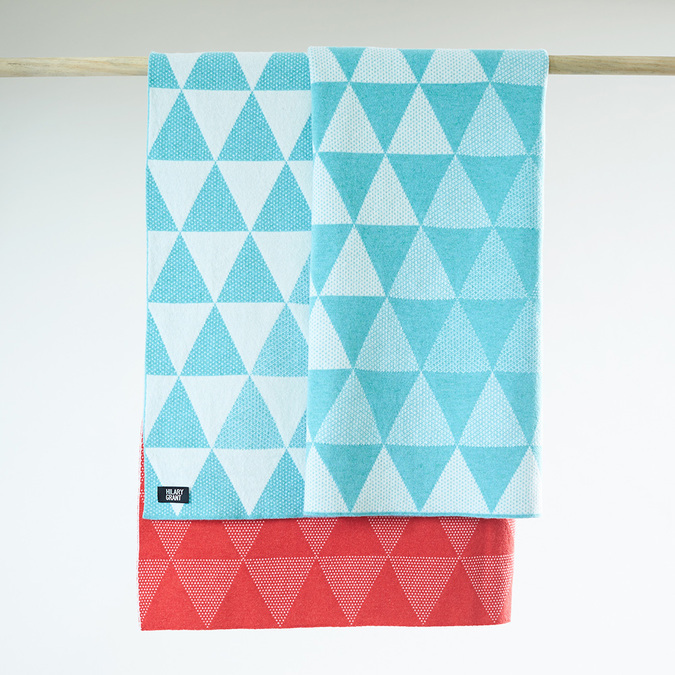 Funded by Events Scotland and Creative Scotland, each new product’s manufacturing costs were underwritten, allowing the designers to be more experimental and diversify their ranges. Karen Mabon, known for her fantastical scarf designs, used the opportunity to try out making an umbrella. She enjoyed the unusual level of freedom the Local Heroes brief offered. She says, “I love any kind of project that trusts your skill as a designer to add things to the world. 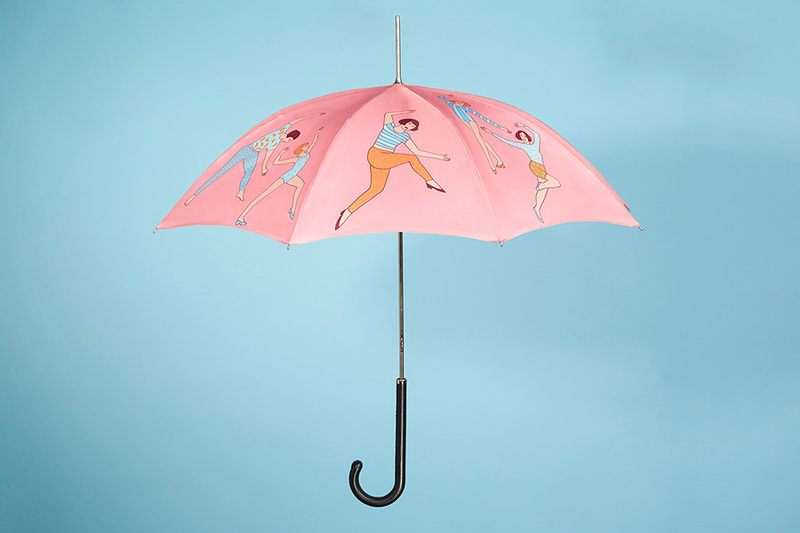 To design an object under the brief of a souvenir is liberating and that’s really good for generating new ideas.” Given the ludicrously changeable nature of the Scottish climate, an umbrella / sunshade seemed like the perfect gift to offer to new arrivals to our shores. Each product in the range has been created bespoke and is available for the first time. 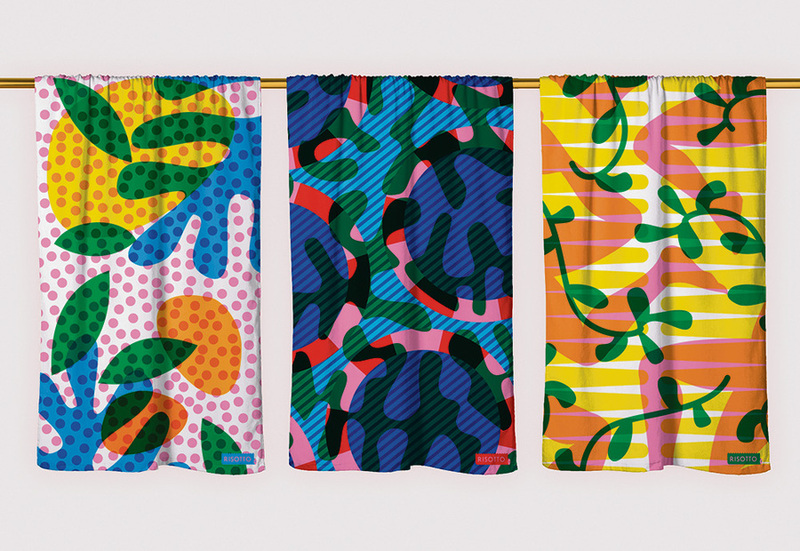 Says Hunter, “All the products are designed as souvenirs, and the idea of travel was brought in to as great or as little a degree as the designers wanted.” There’s a maximalist aesthetic on display in many of the pieces, from the bold trio of beach towels from Risotto studio to the brightly coloured geometry of Rebecca Torres’ swimsuit. 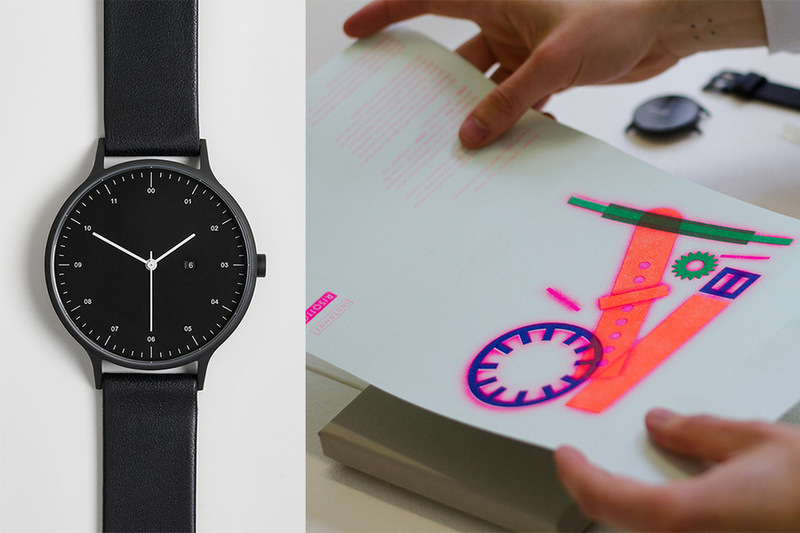 Even the über minimalist aesthetic of Instrmnt’s watch is given a splash of colour in the form of a packaging collaboration with Risotto. 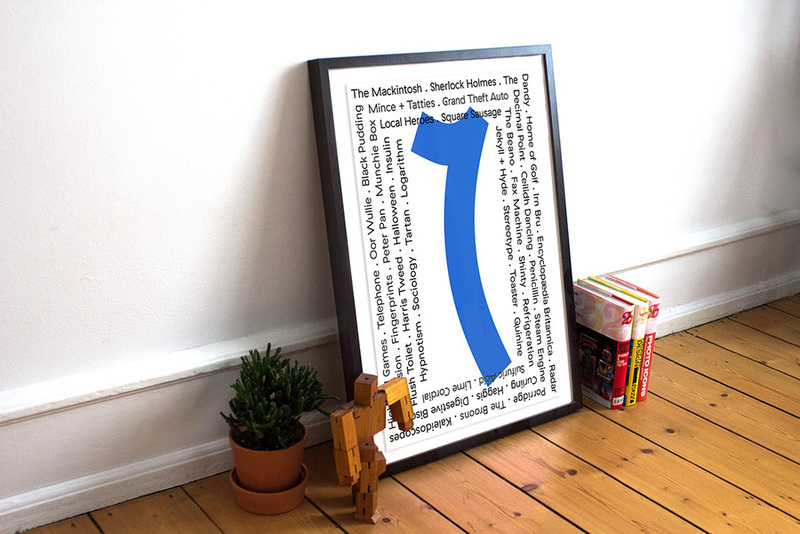 Warriors studio represent graphic design, with Nummer Wans, a souvenir poster celebrating the inventions of the Scottish nation. Turns out we started Halloween – who knew? 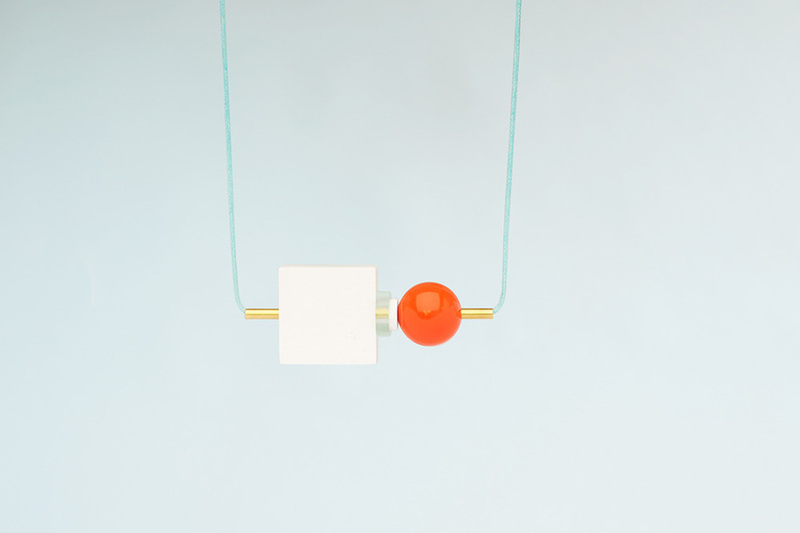 Jewellery designers Tom Pigeon have created an acrylic neckpiece that can be worn in the pool, perhaps with your Rebecca Torres swimsuit before drying off with the Risotto towel. Orkney knitwear designer Hilary Grant has made an intricately woven travel blanket out of geelong wool for extra strength and cosiness. 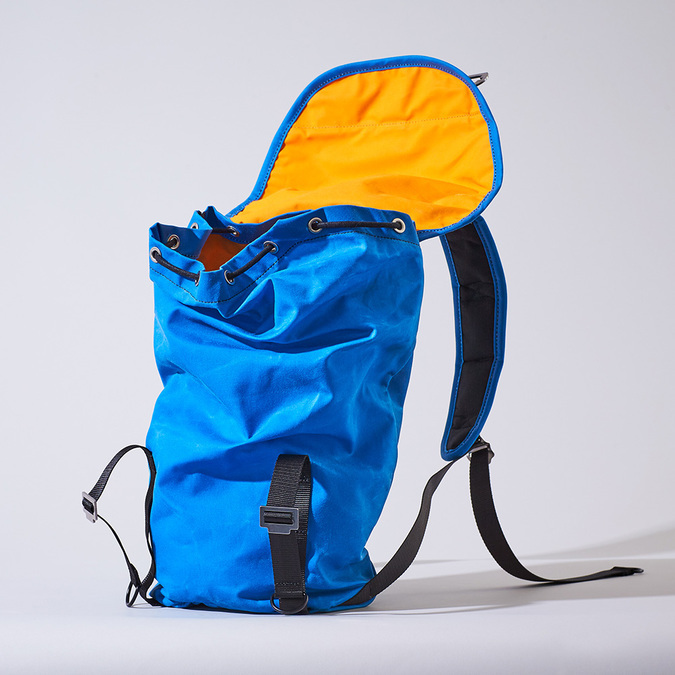 Laura Spring and Trakk offer practical products for airport travellers, with a purse for your liquids and a bright waterproof rucksack respectively. As a whole, the show should go some way to reclaiming and reimagining what 'Scottish design' means. While the editions of the products aren’t limited, the August supply is. There are as few as 25 of some of the pieces, so once they’re gone from the Local Heroes store, they’re gone. Best get along to the airport quick.